The importance of company branding in today’s competitive market cannot be underestimated. If your company doesn’t prioritize brand, you’re likely deflating the potential return on everything you do to market your business. For today’s businesses, the concept of branding helps to create an emotional bond to a particular product, service or company. In order to convey your company brand to your market niche, you need to convey who you are as a business and what you represent. It’s the value that consumers will get when they purchase from you or use your services. That, in essence, is your brand. When defining your brand, you should include the following in your strategy: target audience, dominant competitive advantages, core message, mission, vision, value proposition, key brand attributes, tone and manner. At the same time, this brand must match who consumers think you are. Otherwise, you will have missed the mark. In every marketing effort, you must stick to your brand, whether it’s direct mail, e-mail, newspaper ads, your website, and even social media pages. For each customer communication you send out, your brand should be clear. When using a variety of marketing tools, including customer satisfaction surveys, e-mails, e-cards and customer retention campaigns, your brand’s logo, slogan and sales copy should reflect that concept or ideal. In addition, the features and benefits that customers will get from choosing your company should shape your brand image. 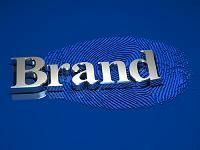 Branding should also help your business, namely your staff, to further that brand image. Every employee should know what your brand is and how to best communicate it. Put something together that defines your tagline, logo, color palette, business cards, stationery, etc. A customized marketing program that effectively conveys your brand can seamlessly increase brand awareness and recognition, because every team member will be on the same page. At Continuity Programs, we know the importance of company branding, which is the foundation of our turn-key marketing campaigns. Contact us to find out how we can help you develop a consistent brand message across the board, using personalized marketing communications.